Built in the early 1930s, the Hawks Nest Dam created a 250 acre lake on the New River near Ansted, WV. Water from the lake is diverted through a 3 mile long tunnel under Gauley Mountain to a hydroelectric facility on the other end. 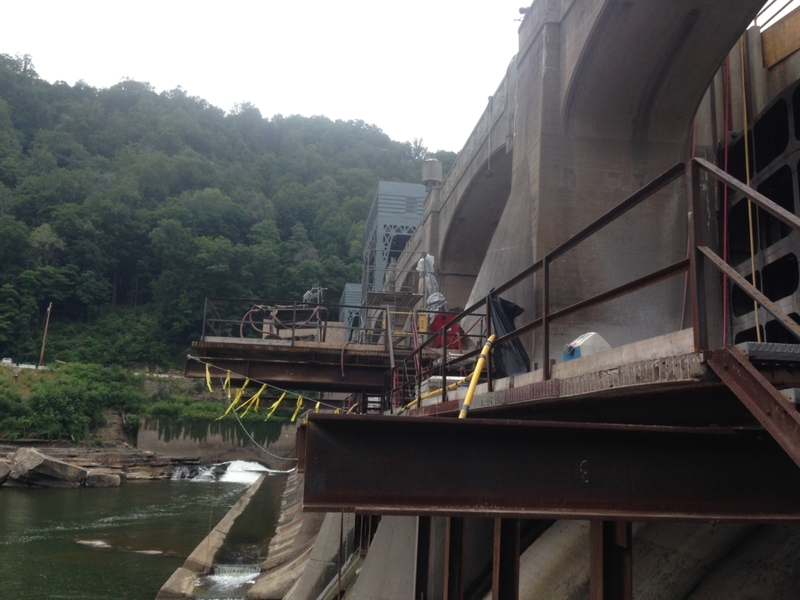 Currently owned by Brookfield Renewable Power, Brayman was selected to install 50 epoxy coated dam anchors, which upgraded the structure to current federal dam safety standards. 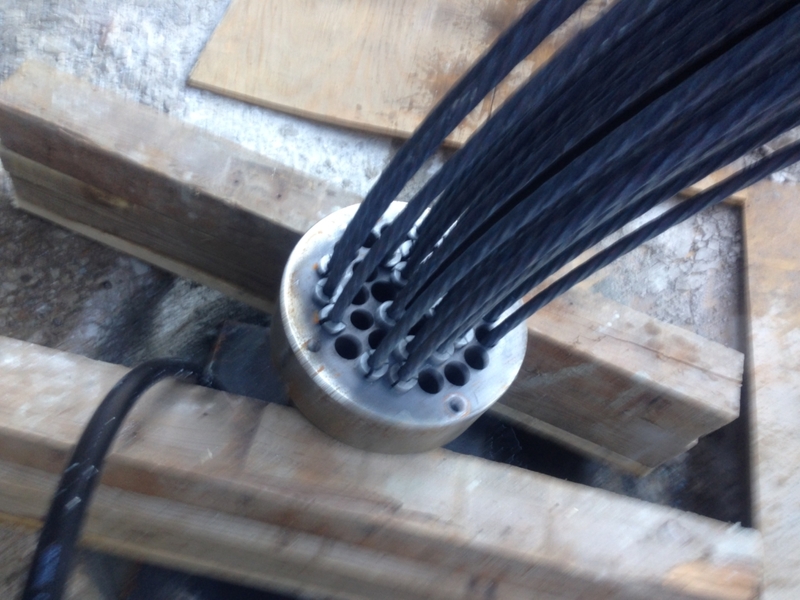 The anchors ranged from 28 to 50-strands and included lengths of up to 105-ft. 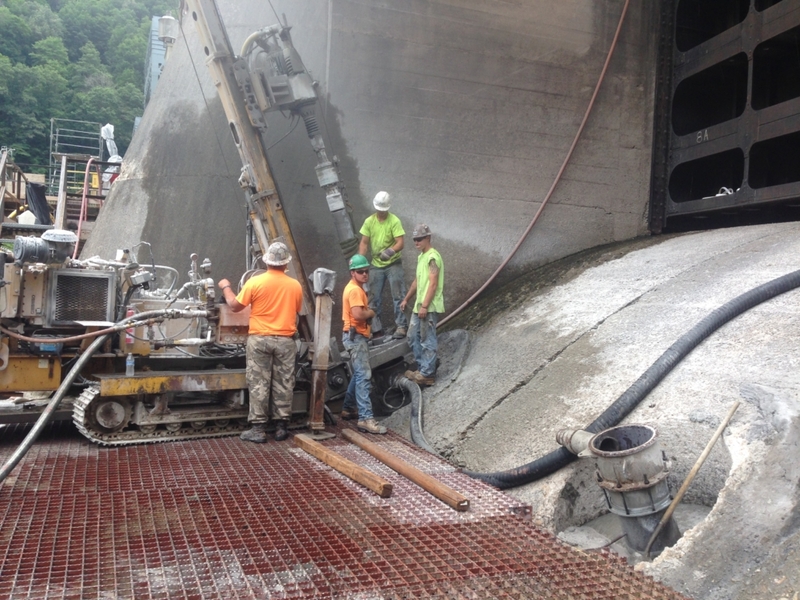 The job presented many challenges, including extreme tolerances for the anchors due to clearances between the back of the dam and the gallery. 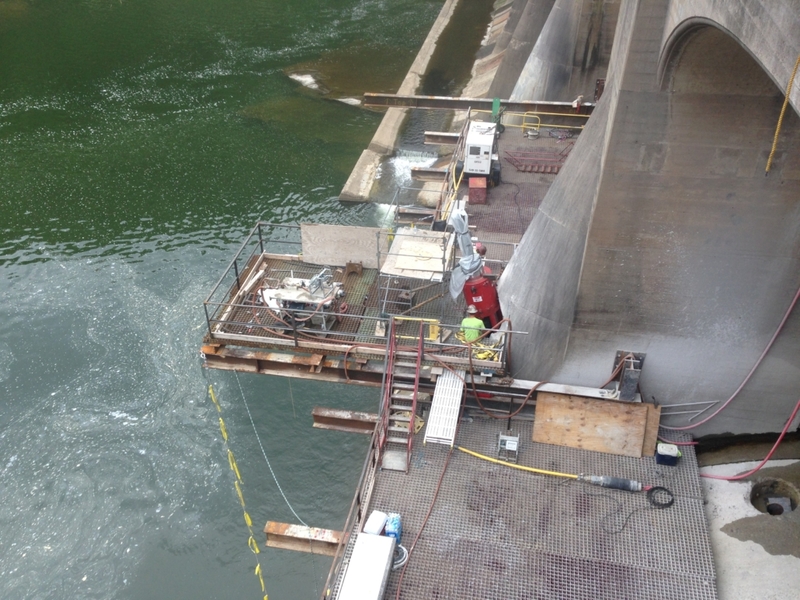 By utilizing directional drilling methods, Brayman was able to “thread the needle” with the 6-in pilot hole between the gallery and the upstream face of the dam. In addition to tight clearances, other challenges included the need to “jump” work platforms between gates, while maintaining open gates for Brookfield to pass water on either side of the drilling. A 110-ton crane was situated on sectional barges stationed on the head pond, which aided in the support of anchor activities and the installation of work platforms. 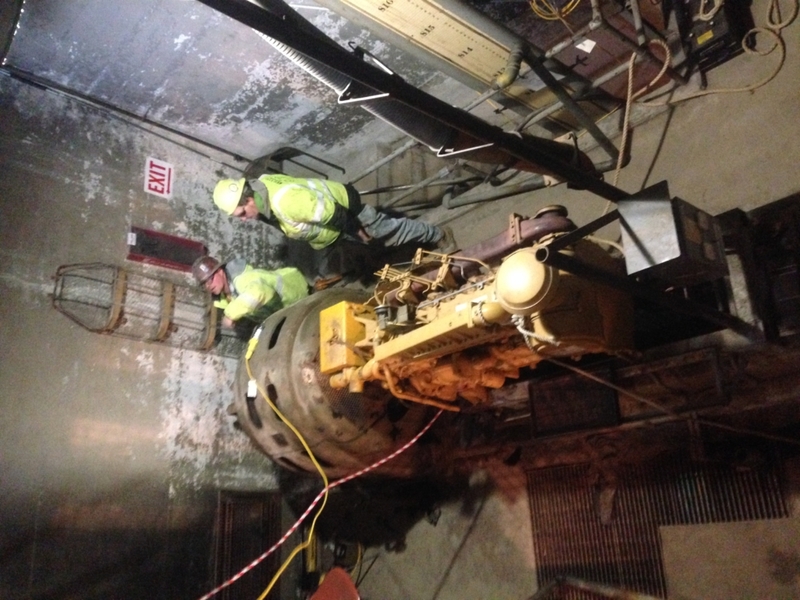 Other additional work included utilizing divers to install 6-ea stop logs, which were fabricated in-house and the installation of observation wells and piezometers in the dam’s gallery. 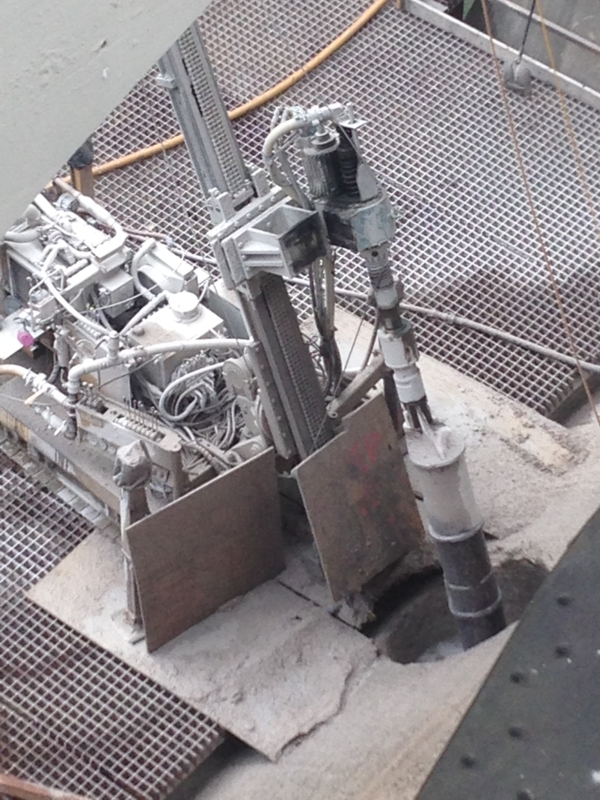 A “Little John” skid rig was lowed through an access hatch in to the gallery and utilized for the drilling of the observation wells.